The Hacienda restaurant makes good use of its sunny terrace in the centre of the Les Menuires resort. 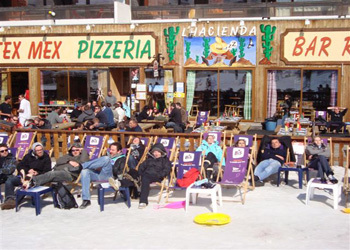 Located at the foot of the pistes, and therefore accessible on skis, it offers you the chance to take a lunchtime break and try its dish of the day, a pizza, or alternatively a mexican speciality. The interior of this establishment consists of several lofty halls in color. 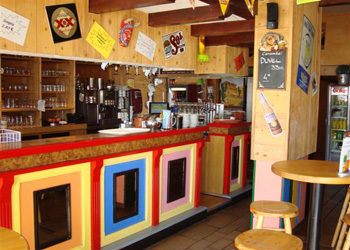 The wood decor exudes a cheerful and intimate atmosphere. Everything is for a friendly and convivial evening. 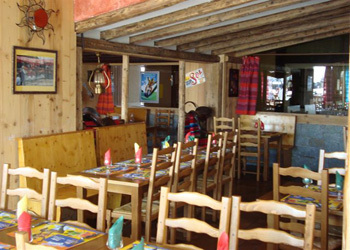 The Mexico in Les Menuires! It remains only to order Tapas, Tacos, Fajitas, Chili con Carne, Chicken wings, or bison tartare. 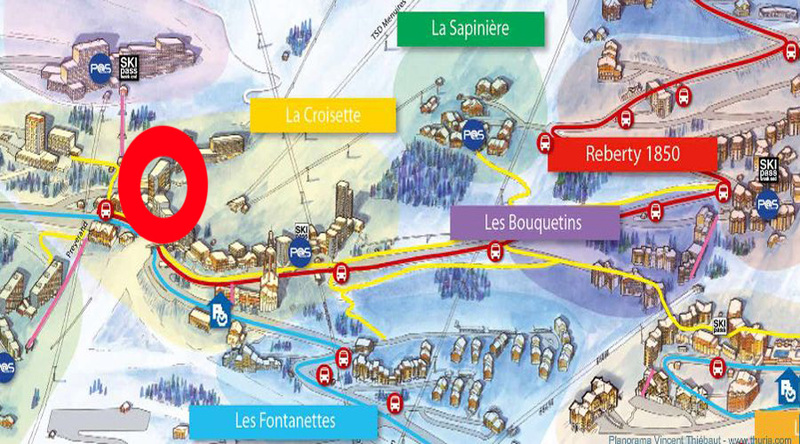 Fans of local specialties will not be left out: fondue, raclette, tartiflette are proposed. Ouch! Ouch! Ouch! Caramba !!! 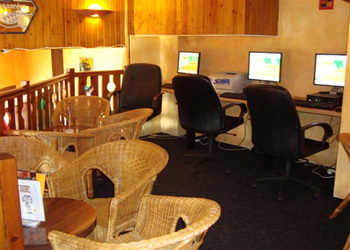 An internet space located in a small homely room is located upstairs. Fans of "surfing" exercise their passion in private. - Large terrace at the foot of the pistes.